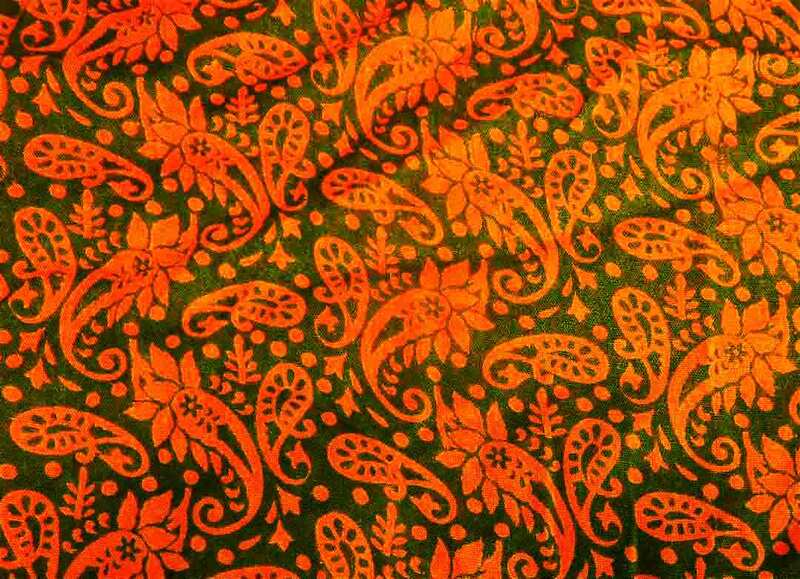 The beauty of Indian paisley, Floral, and border designs, inspired by traditional block prints meets the color crafting of Gwen! 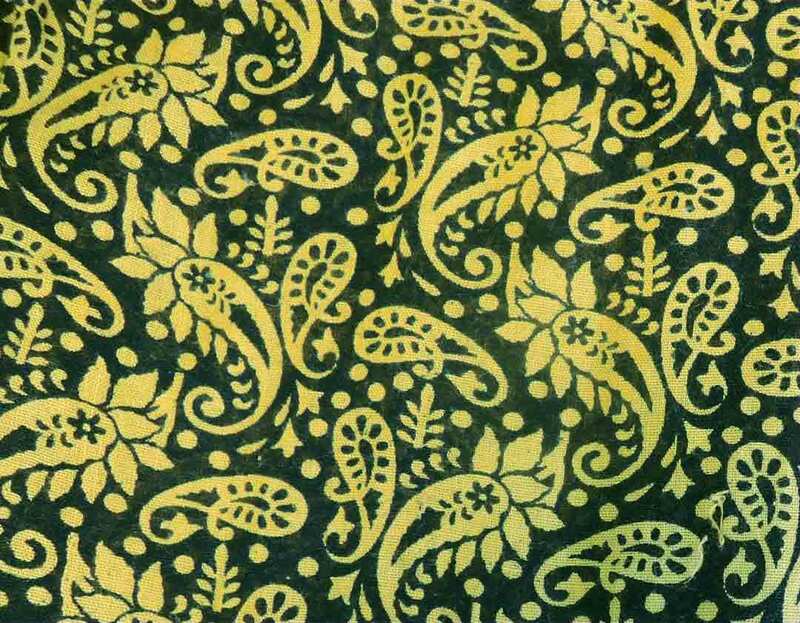 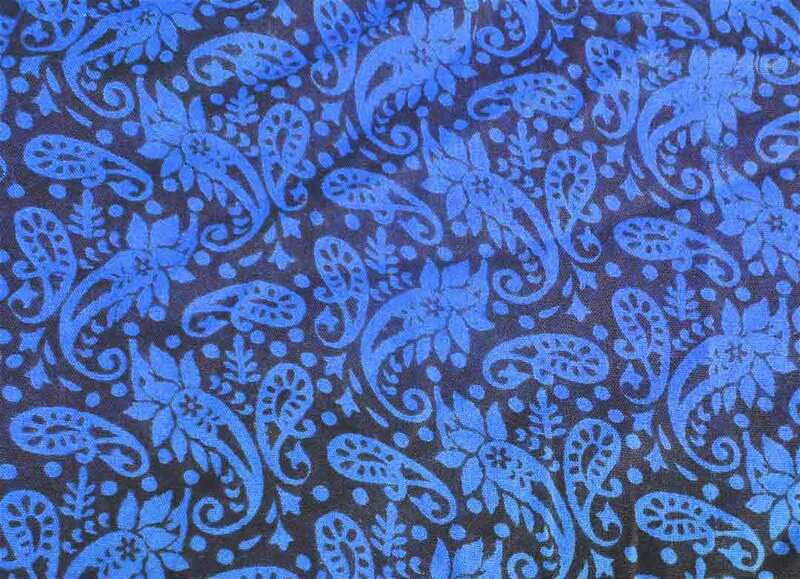 3 Block Print Patterns Paisley and Stripes, Floral, and Big Paisley and Floral, a dream for a craft dyer like me! 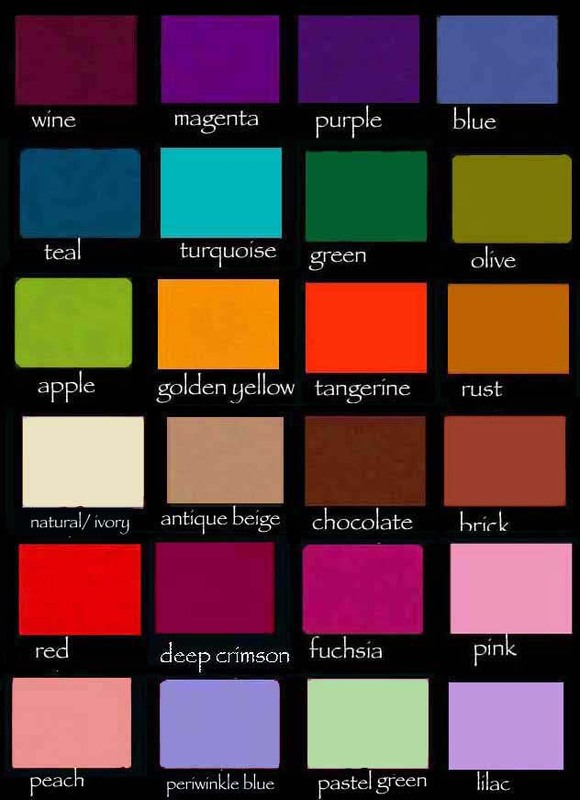 I can over dye them all for a flood of color! 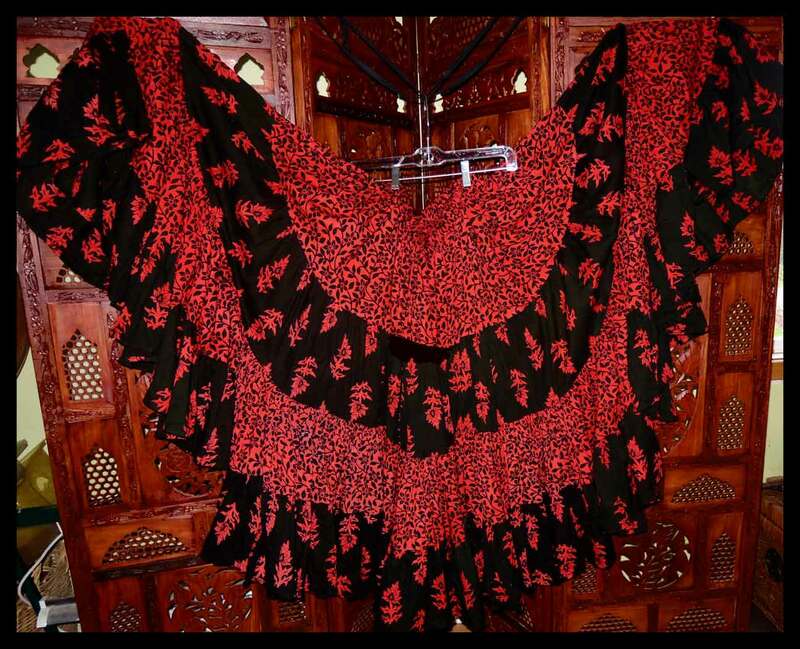 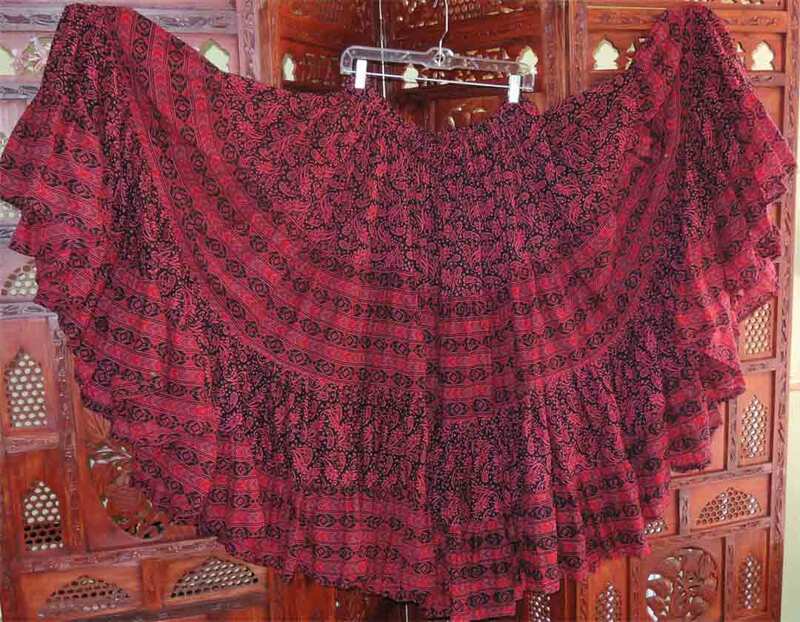 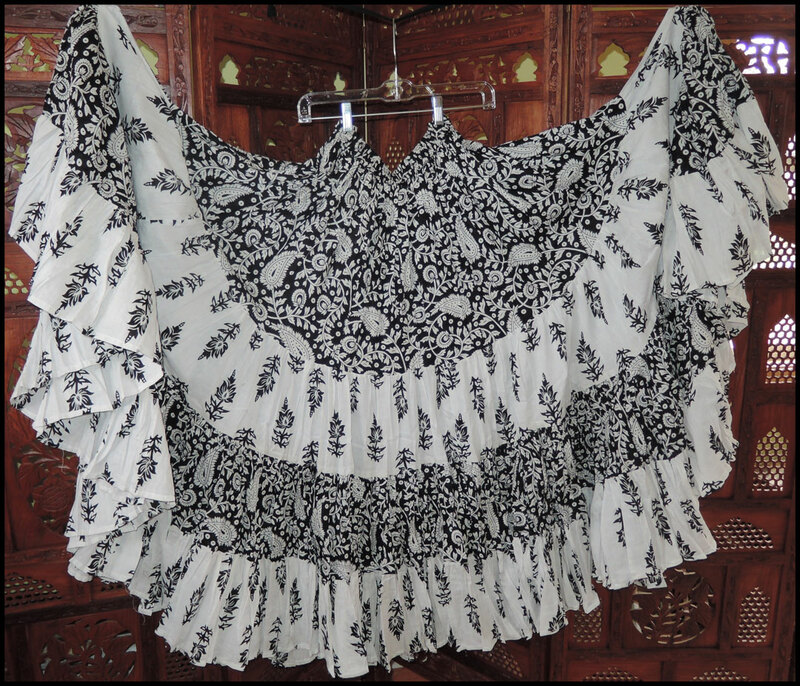 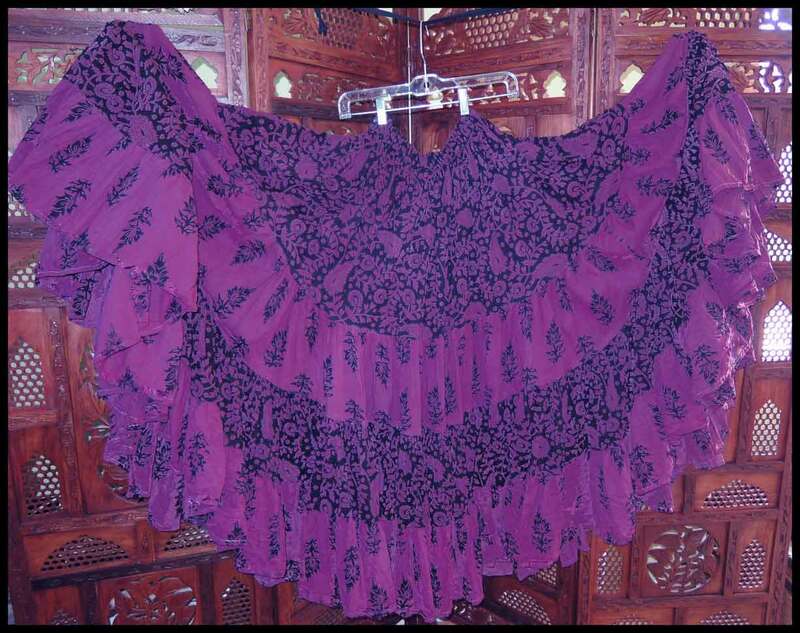 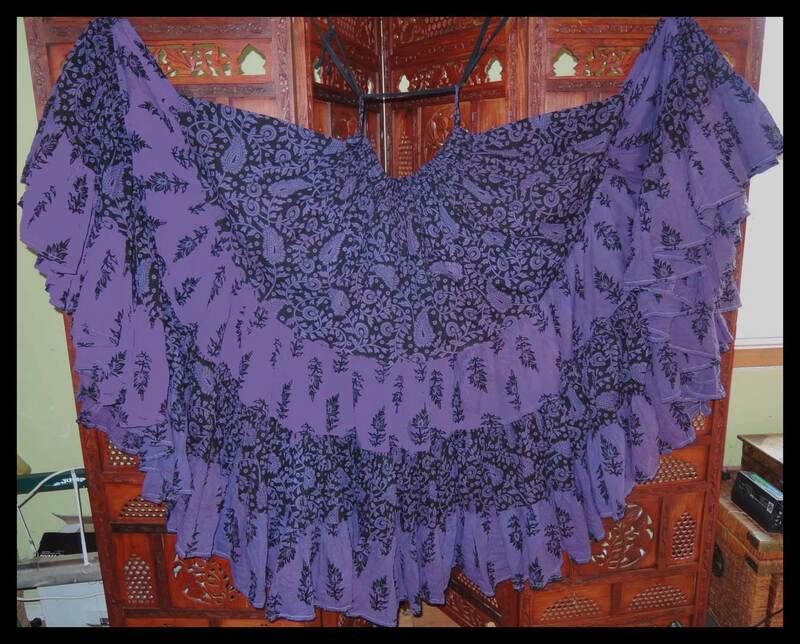 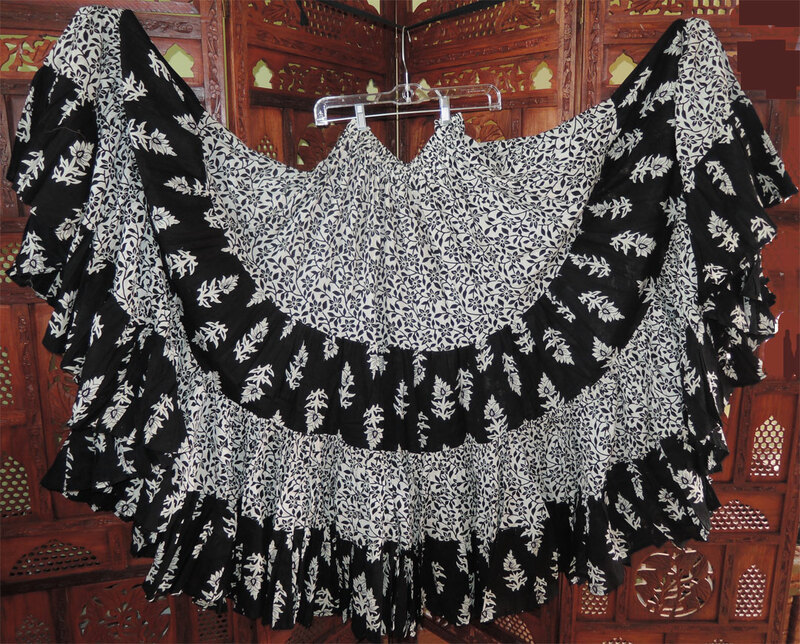 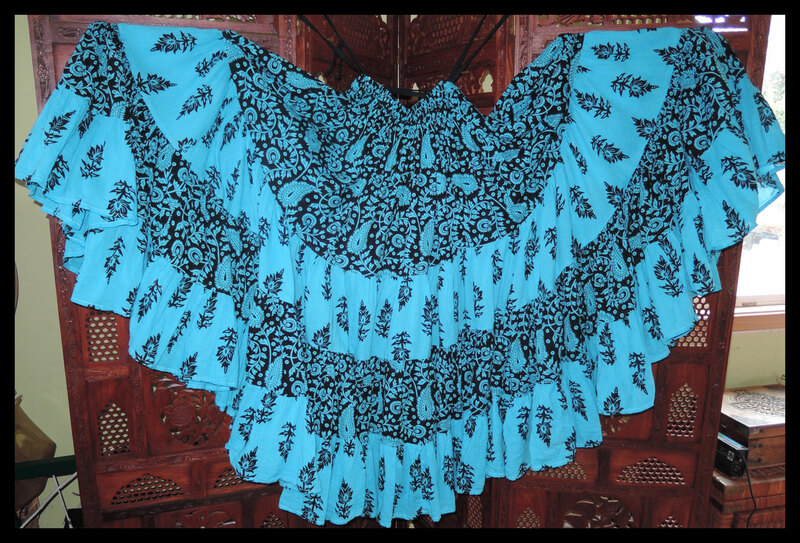 Color: The basic fabric comes in Black and White ( the Paisley and Stripes is black and white with some red accents) Choose one of 25 hand dyed colors and I will over dye the basic black and white printed skirt, the black will stay black and the white will become the overdye color!! Just imagine your troope with individual choice of colors - but all tied together by same prints, not to mention the possibilities for matching cholis in the same hand dyed colors! 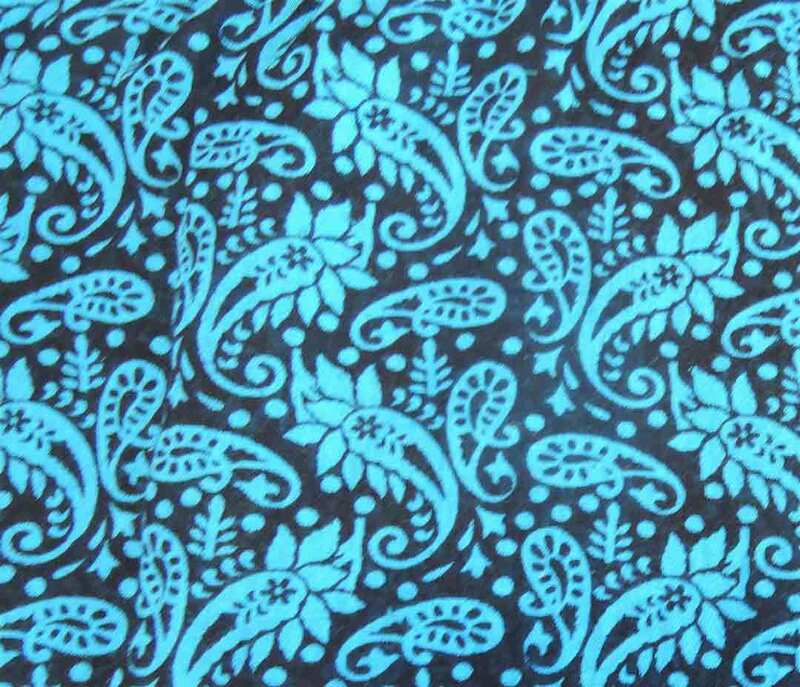 Here are some examples: 12 yard Teal blue, big paisley turquoise, purple, Magenta big paisley, blue, green, turquoise, g.yellow, rust, brick, deep crimson, red. 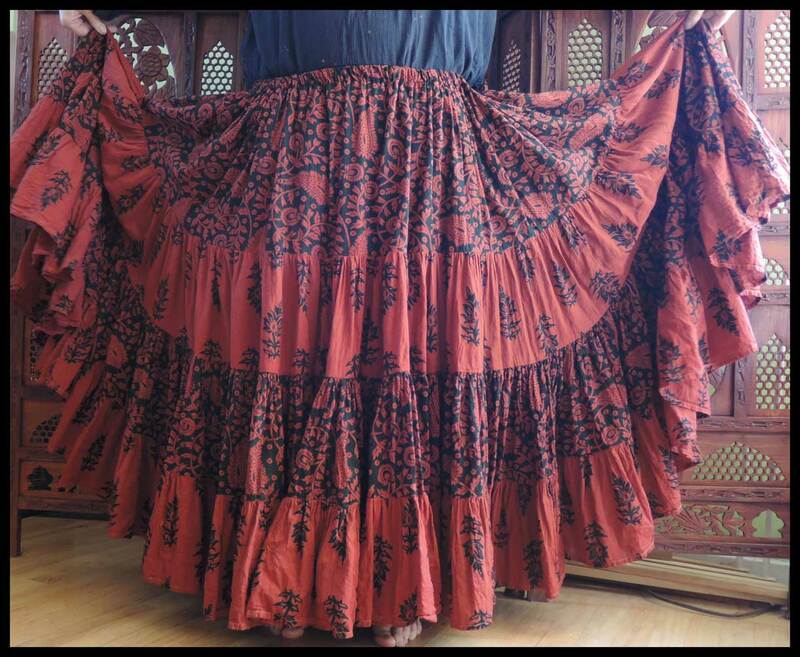 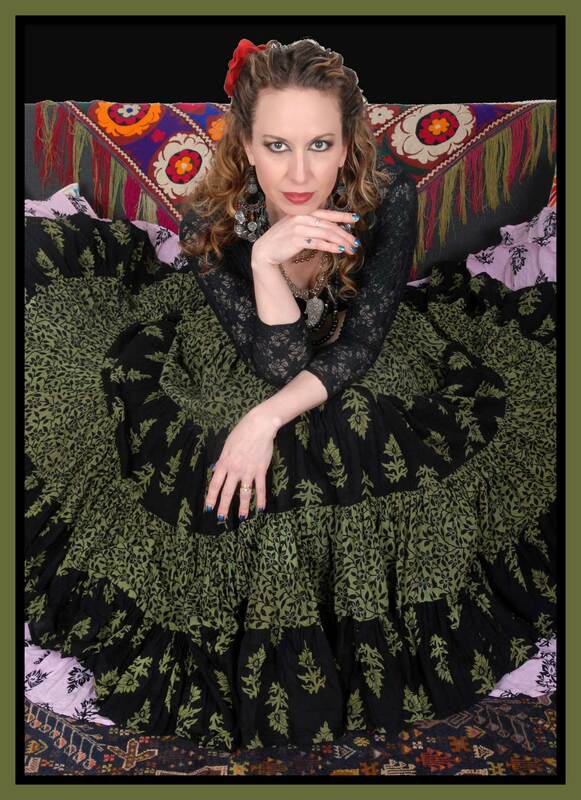 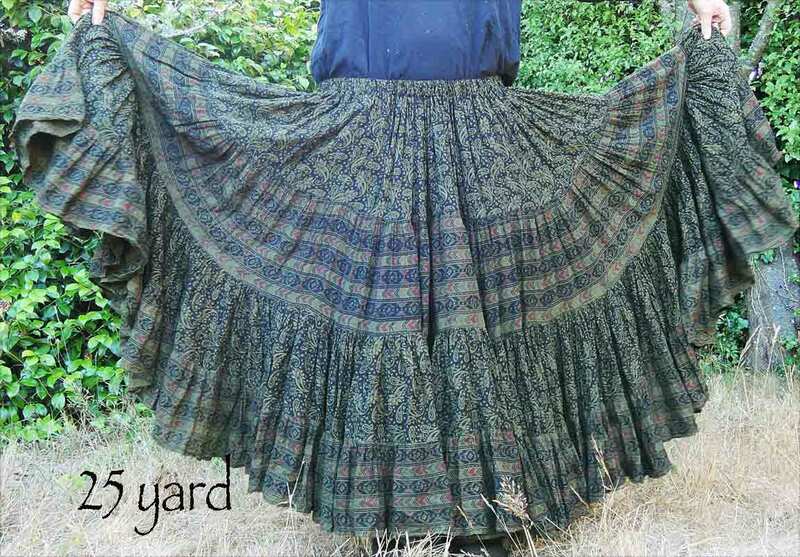 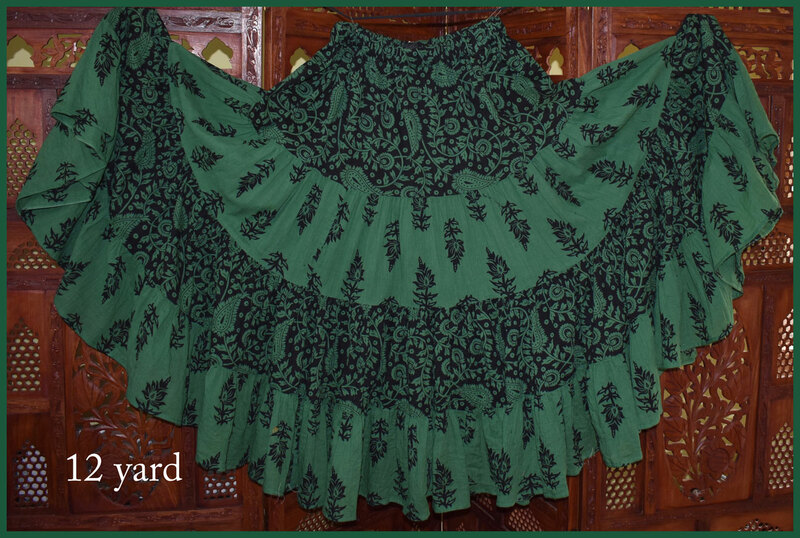 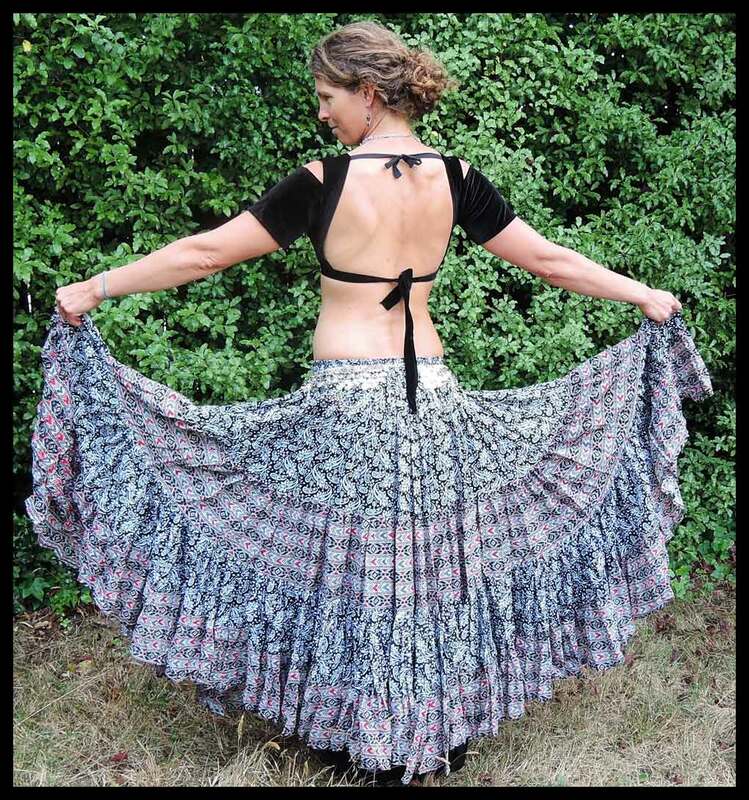 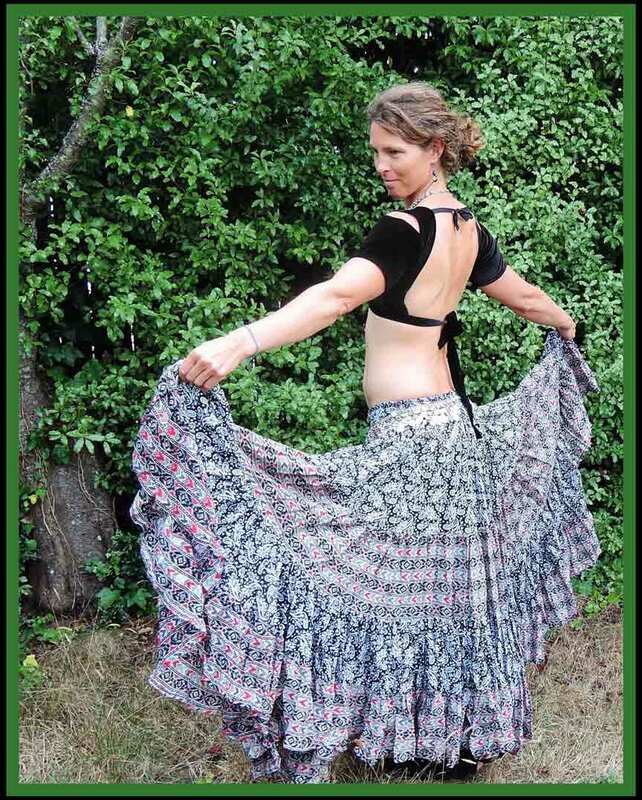 For more skirts information, including tips on care, sizing, and finishing; go to Skirt info.